DAVID LE/Staff photo. 4/24/15. Danvers senior captain Caitlin McBride keeps her eyes on the ball in a game against St. Mary's. 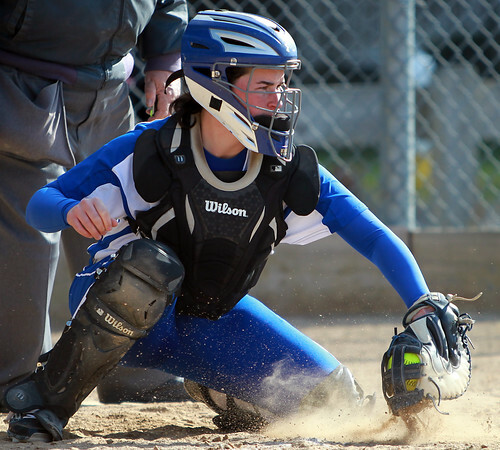 The Falcon backstop is heading to D1 Merrimack College to play softball next year.